The united opposition coalition has elected the MP for the Kaashidhoo constituency, Faisal Nameed as the running mate for the opposition candidate, MDP's Ibrahim Mohamed Solih (Ibu). Ibu's running mate position was opened for the Jumhoory Party (JP). On the opportunities, others who presented their names for the position of running mate are MP for Kendhoo constituency, Ali Hussain, Deputy Leader of JP, Dr. Hussain Rasheed Hassan and the former Minister at the President's Office, Abdulla Ameen. 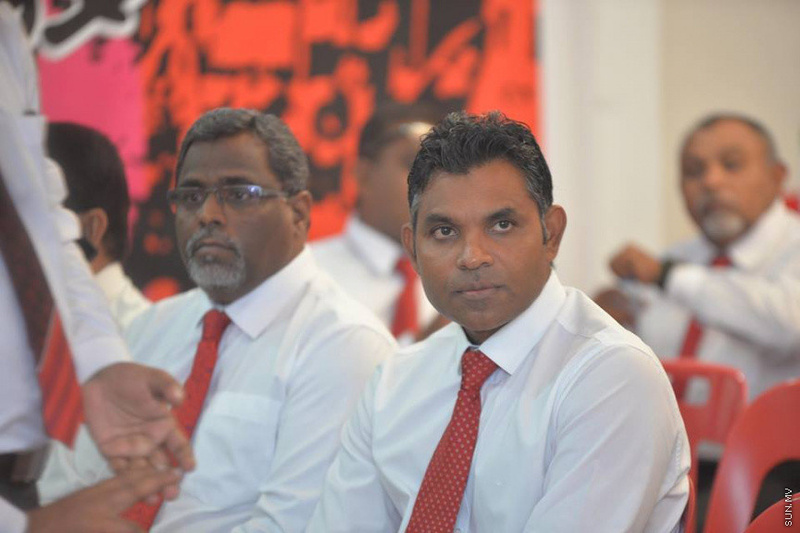 At the JP Council vote tonight, MP Faisal Nameem was with 15 votes while the closest competitor to him won 14 votes. Ameen got nine votes Dr. Hussain Rasheed got two votes while one vote was invalid. With the announcement of the vote results, the three candidates who lost the vote had congratulated Naseem on his victory and showed support for him. Three opposition parties and the supporters of the former President, Maumoon Abdul Gayomm had agreed to bring forth one candidate for the upcoming Presidential Election. And so Presidential candidate was given to MDP while the running mate decision was given to JP.